Unleashed to Learn is an illustration of the next era in education. The book is as high energy and inspirational as it is informative and instructive. Join the new generation of educators. Read about: How to put the new science of learning into action. How learning at full capacity is transformational. How the Capstone model is the complete package for learning at full capacity— student-centered, applied, real world, and relevant. How innovation and creativity, a requisite 21st century skill, can be learned through the Capstone model. How students when unleashed, learn and grow beyond what they and others believed possible. 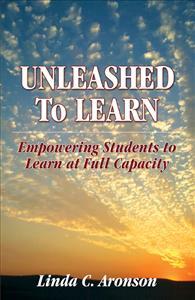 Unleashed to Learn is an illustration of the next era in education. The book is as high energy and inspirational as it is informative and instructive. - How to put the new science of learning into action. - How learning at full capacity is transformational. student-centered, applied, real world, and relevant.